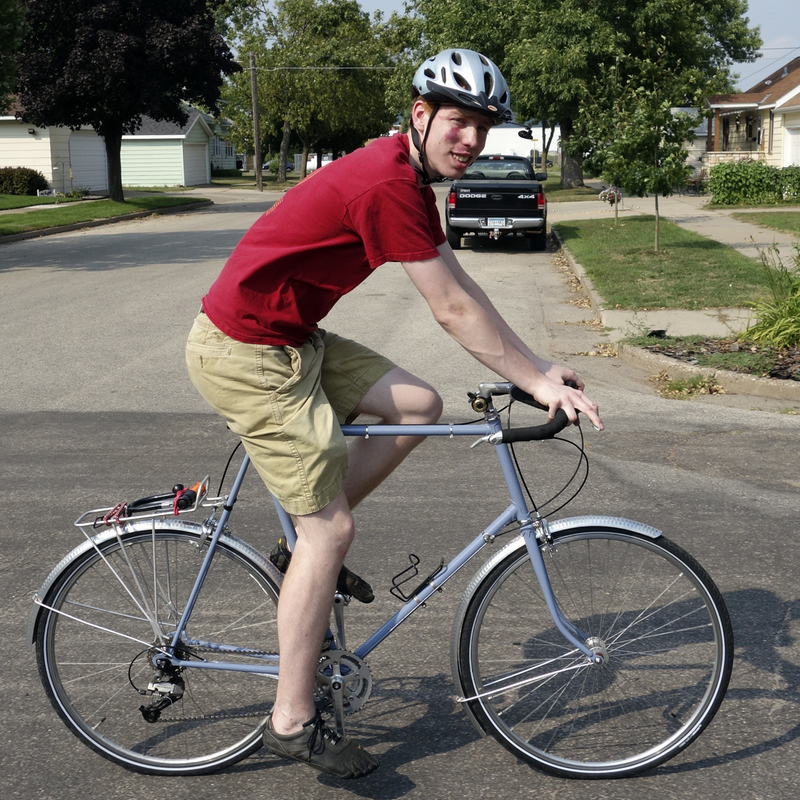 My son Henry, 21 years old and a shade taller than my 6' 5", needs a bicycle every bit as tall as mine. 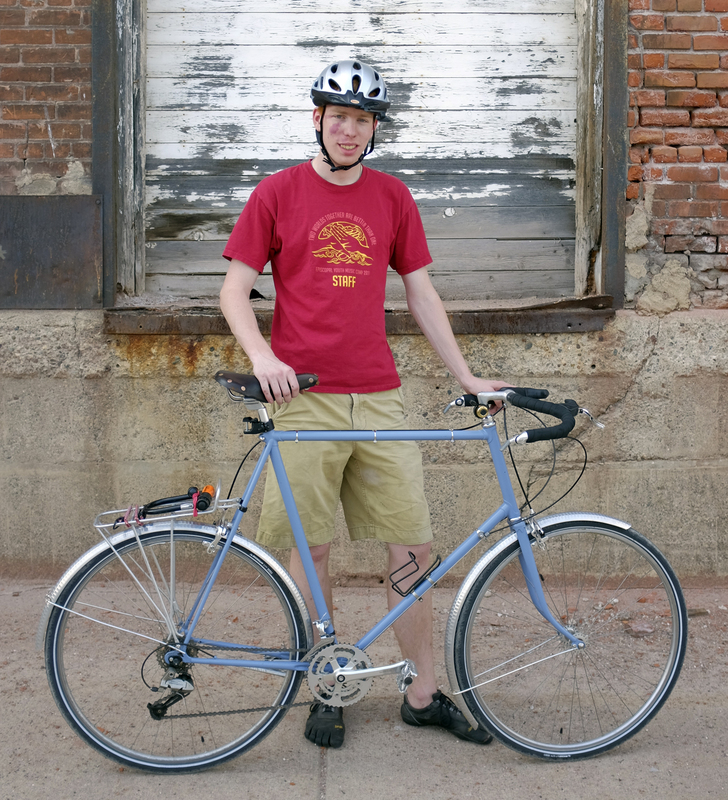 By happy coincidence, in 2009 a guy in Utah, having read this blog and some of my whining about needing tall bikes and the difficulty of finding them these days, e-mailed me to say he had a stripped tall Fuji steel frame and he'd give it to me, all I had to do was pay shipping. Sure! So, about $45 later, I was in possession of a big huge tall Fuji frame scraped down to bare metal. The condition of the frame as received. It looks a bit like rusting shipwrecks on Guadalcanal from 1943. I had the paint people sand blast the frame before painting. It would be exaggerating to say we swung immediately into action on this. I did have the bottom bracket shell and headtube faced so that the opposing surfaces were parallel. I didn't, but should have, dragged the frame to some local framebuilder to get a couple of water bottle mounting bosses brazed on. This would have been trivial when it was still bare metal. I did take it to a powder coating place over in Golden Valley and had it painted a nice, fairly nondescript blue-gray color. In went a sealed-bearing bottom bracket and some cheap headset, and then the bike sat in the garage. Henry in the meantime got taller than he was in 2009. 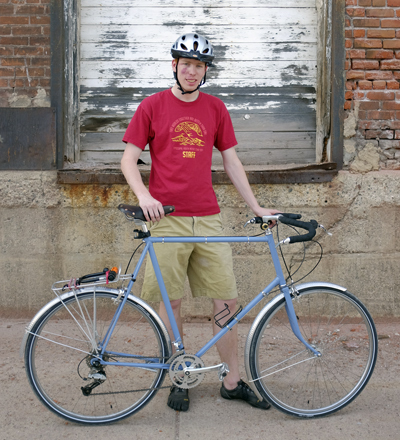 He has a utilitarian Novarra Transit 7-speed internal hub bike that's a bit too small. 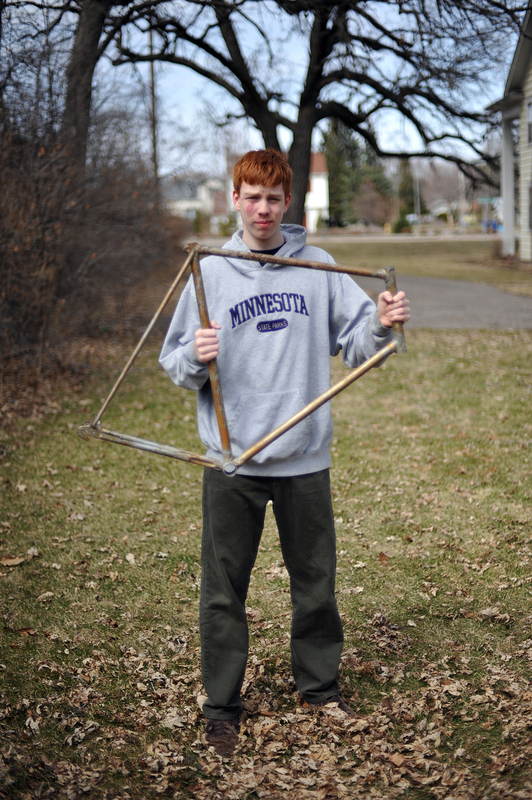 He rode a mid-1980s Trek 620 until he got right-hooked and bent the fork. He got a Brompton H-model (the tall Brompton) from his grandmother. And finally, this summer, we decided to finish the built-out on the Fuji. It's hard to classify, with classic and modern elements, but in the end, it comes together nicely. It still looks 1970s, especially with the clamp-on water bottle cage holder (and I didn't have a silver cage that worked with these clamps on hand, hence the black cage), the three brake cable housing clamps along the tob tube and the seatstay clamps for the rear rack. 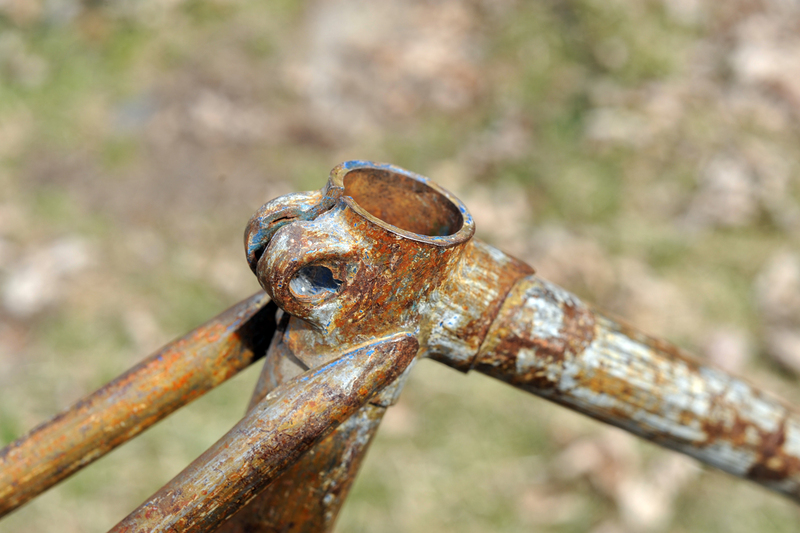 The black fixture low on the seatpost is an attachment point for a Burley Travois trailer. In the end, we're probably into it for $500 plus of course whatever sunk costs there were in parts lying around in the garage. That's a good value considering it's a pretty decent bike in a size that's very difficult to source these days. Hi Matt read with interest your blog about cycling in the 1980's, brought back old memories of my cycles at around the same time. My cycling was a bit different to yours in that my bike was a single speed black raleigh, with sleeping back and tent my main luggage , no camera, or other visual equipment to record my journey, but did bring diary and sketchbook. and certainly no helmet. am still an avid cyclist and still no helmet. will read through your blogs with interest 'stephanie.